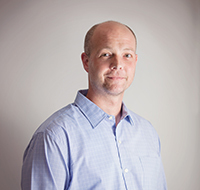 Stephen Rothwell is the co-founder of Inspired Technology and Communications. He has exceptional experience in business management and Computer Information Systems with a track record of success leading the business. Stephen was always involved in his family business. As a child, he would spend time at the office with his dad, playing with circuit boards and solder wires. During the summer months while in college, Stephen would work in the office on sales and marketing projects as well as helping management define policies and practices to better help the business. 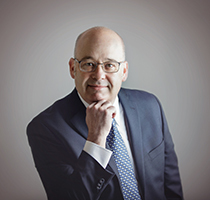 During his senior year at Bryant University, Stephen split his time between managing the business and attending his college classes. In 2009, Stephen and his brother Brian decided to expand the family business. They created Inspired Technology with a focus on integration and educating new and existing customers on what services and technology they could offer. Stephen graduated from Bryant University with a bachelor’s degree in Business Management and minored in both Computer Information Systems and Psychology. 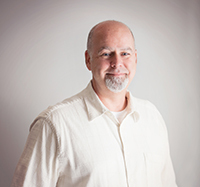 Brian Rothwell is the co-founder of Inspired Technology and a proven leader in technology design and programming. Like his brother Stephen, Brian was greatly involved in the family business, helping his dad in the office and spending time at the shop bench observing and learning. In his first role at Inspired Technology, Brian was as an assistant to the senior technicians and was eventually promoted to Lead Technician. In this role, Brian managed the design, building and programming of major projects, such as the VoIP telephone systems for the town of Stoughton. 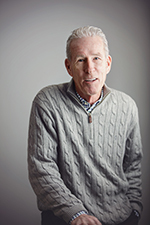 Bob Rothwell is a media relations and operations management veteran with more than 12 years of experience. Prior to joining his brothers in the family business in 2003, he worked in college athletics traveling with teams and handling all media liaison responsibilities. In his first position as Service Manager, Bob was responsible for the scheduling of projects. He is now in charge of all daily operations at Inspired, which includes managing the project schedule and ensuring the company has the correct manpower, materials and equipment. 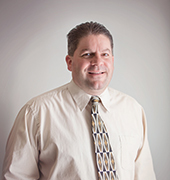 Bob graduated from Providence College in 1995 with a bachelor’s degree in English. David has had an extensive career as an owner, operator and executive in the restaurant industry. 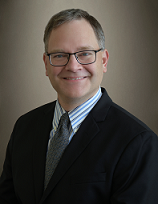 His wealth of knowledge and leadership in the areas of customer service, financial planning and human resource management will position the business for continued growth and expansion. David grew up in the Attleboro area and graduated from Attleboro High School in 1987 where he was a three-sport athlete. One of David’s first jobs was working with his father in the Burglar and Fire Alarm business. Prior to graduating college, he worked as a manager for fast food restaurants and officiating basketball and baseball games. 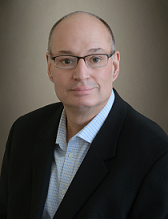 David graduated from Bridgewater State in 1991 with a bachelor’s degree in Accounting and Finance. Paul Scanlon is a leader in Telecommunications and project management with over 30 years of experience in the communications industry. Paul has worked on some of the largest Telecommunications projects in New England; including managing the Telecommunications/Audio-Visual sections of the Boston Convention Center Project in 2004. He has worked with Stephen and Inspired Technology for the past ten years overseeing the evolution and growth of the company with a focus on quality workmanship and customer service. Paul is a Vietnam War veteran. Carrie joined Inspired with 20 years of experience in Information Systems and best of breed software solutions. Prior to Inspired, Carrie spent 17 years at ConRes. She was responsible for the onboarding of 10 manufacturing lines and was an integral part of the 1999 SAP implementation team. 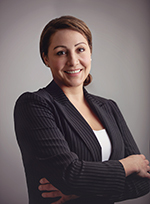 At Inspired, Carrie is responsible for the direction and growth of the hardware and software cloud division as well as onboarding best of breed software solutions for clients. Carrie is the middle daughter of three girls born and raised in Sudbury, MA. She is also recognized as the first three-sport athlete at Babson College where she double majored in Information Systems and Business Management. Bob received his degree in Electrical Engineering from Case Western Reserve University in Cleveland, OH. Bob worked in the electronics industry for two years before returning to school for two more years in the Music Engineering program at the University of Miami. Bob returned to Cleveland and began working in the custom installation and programming industry. After getting married, Bob and his wife moved to the Boston area in 1999 and spent several years as an AMX/Crestron programmer with Media Systems. 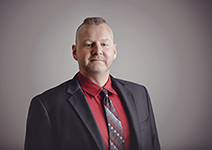 In 2002, he moved to ControlWorks Consulting and held the position as Crestron CSP until joining Inspired Technology & Communications in September 2018. With four kids at home, Bob has little to no free time but does manage to squeeze in a run occasionally. Bob has also been known to play a song or two on his guitar. Mike joined Inspired Technology and Communications in early 2018 as a project manager. He has been involved with not only projects, but with the company’s transition to a new ERP system as well as handling engineering drawings and some design. Mike began his career in Broadcast Engineering in the late 90’s. He helped build the facility, right down to running cables and wiring racks, and put Oxygen Media on the air in 2002. He was the Engineer in Charge of a live production (Pure Oxygen) for years. He supported numerous edit stations with a fiber connected LAN to high end edit machines for both Oxygen and College Sports TV. In 2006 he became the Director of Engineering for RLTV (Retirement Living TV) and Chief Engineer of the AV Department for The World Bank. In 2011 he became the Regional Operations Manager for the largest AV company in the country, AVI-SPL. After the birth of their son, Mike and his wife relocated to Boston where he transferred internally within AVISPL to a Project Manager. Sean joined Inspired Technology and Communications toward the end of 2017 as a lead AV tech and has since been promoted to Project Manager. Sean started in this industry installing car alarms and car stereos 20 years ago at MHL Security & Sound, after a little over a year he began working in homes. Sean quickly worked his way from being the crew helper, prepping sites and carrying the lead tech’s tools, to independently leading installs within 2 years. In his spare time, Sean is a competitive cheer dad, traveling with his family to support his daughter’s cheer squad. Dan joined Inspired with over 20 years of sales and marketing experience, having spent the previous four years with GE Intelligent Platforms and GE Digital supporting their industrial automation hardware and software. Dan started at GE Intelligent Platforms in Inside Sales then moved to Account Development and finally was promoted to Sales Support Manager of the Americas for GE Digital. Dan managed a team of nine individuals responsible for supporting and managing the day-to-day sales, support and service activities for the sales team, customers, direct accounts and channel partners. 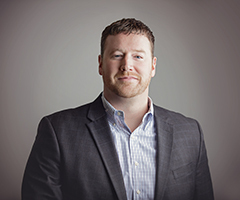 At Inspired, Dan is responsible for business development activities for the building automation division as well as hardware and software cloud division, bringing the best solutions to customers. 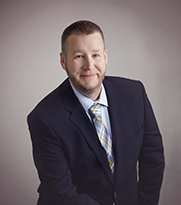 Dan graduated from Bryant University with a bachelor’s degree in Marketing and later received his MBA in Marketing from Bryant University as well. Ed joined Inspired Technology and Communications with over 25 years of previous sales and sales support experience, providing commercial clients with collaboration, audio visual technology and service solutions. Ed started his career with Picturetel in 1992, working with clients both domestic and abroad in New Product Planning, Systems Engineering, Channel and Enterprise Sales. Ed is client focused and collaborative. He has worked on projects ranging from a $6M AV build out of a leading Business Consulting Firm in NYC, to a technology refresh and hybrid cloud project for a Boston based firm, successfully implementing 10k desktop video conferencing and 140 global room systems. Along with developing new commercial accounts, Ed has also worked on projects with clients wishing to start small see the benefits this technology has to offer. Suzanne Nadeau is the Warehouse Manager at the Easton location of Inspired Technology. She will oversee the day-to-day activities and work closely with our technicians to ensure they have everything they need for success in the field. 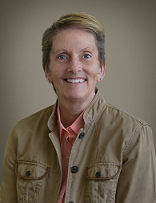 Suzanne comes to us with over 20 years of Logistics and Supply Chain Management experience. In her previous role, Suzanne managed logistics and quality for a transportation, warehousing and courier service company. In her spare time, Suzanne enjoys spending time with her two amazing children and Alaskan Malamute. Denise joined Inspired Technology & Communication in 2018 with 10 years of office management and accounts payable experience. Denise was added to the team to support management in the day to day operations of business. In her spare time she enjoys spending time with family and grandchildren and traveling with her running group for races.